Atsushi Tsukui is senior researcher at International Development Center of Japan, a consulting firm for social development projects in developing countries. 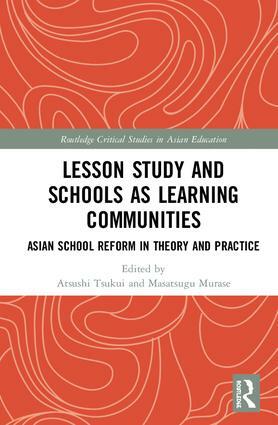 His research focuses on teacher professional development in Japan, Vietnam, Indonesia, Ethiopia and Myanmar. He develops and conducts a series of teacher training by video viewing. His earliest work anthropologically revealed the roles of facilitators for community education in Northern mountainous regions in Vietnam. In subsequent research he conducted in-depth fieldwork of teacher’s lived experiences in Vietnamese schools to investigate teacher value/identity. He is now engaging in his doctoral thesis on Vietnamese teachers’ values reflected in their classroom observation. Masatsugu Murase is the founder and director of Azabu Institute of Education, an independent consulting firm in Tokyo, Japan. After gaining experience as a teacher educator at Shinshu University, he became an independent consultant for school education. He has visited numerous schools in Japan and other Asian countries to assist in their school reform efforts. In addition to consulting, he has authored or co-authored several papers and books on diverse subjects, such as learning science, lesson study, professional development, and school reform. He is currently working as part of a JICA project for curriculum development in Myanmar.